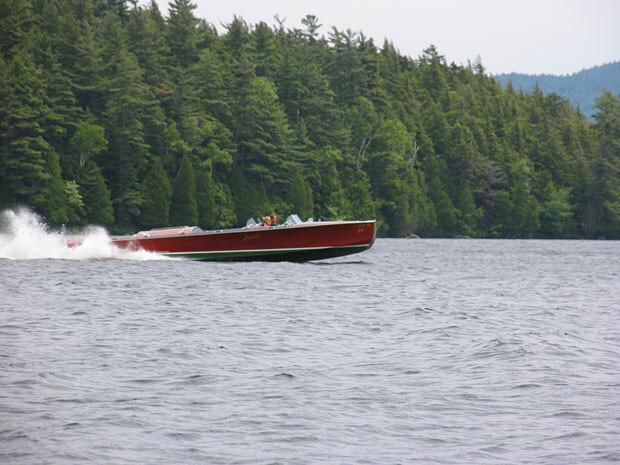 Upper Saranac is consider by many, one of the best boating lakes in the Adirondacks with many islands and panoramic mountain views. 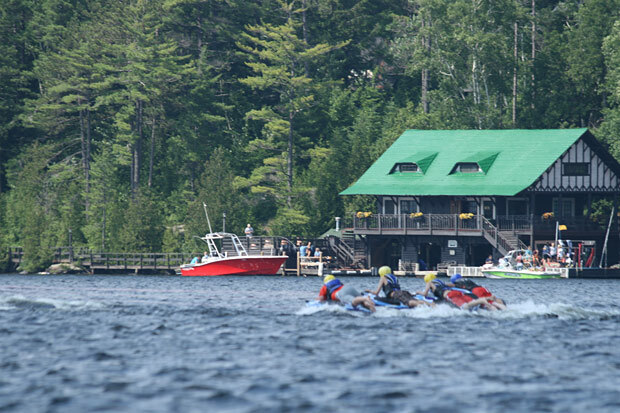 Saranac is also home to many great camps, numerous college and youth camps and famous resorts including The Wawbeek (now closed to the public) and The Point. 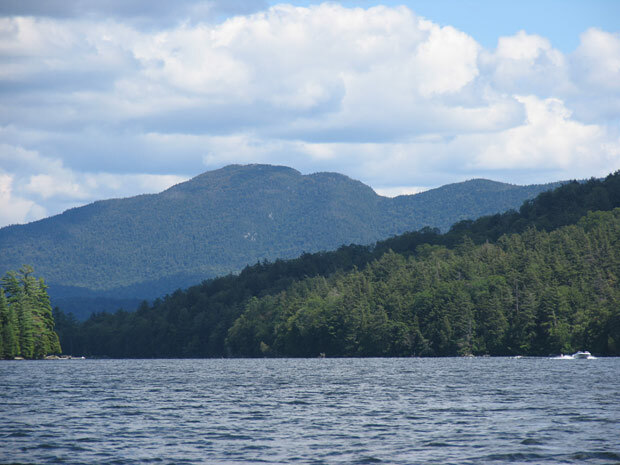 Upper Saranac is 7.5 miles long with a maxium width of about 1.5 miles and features 37 miles of breath taking shoreline with views of the distant high peaks. 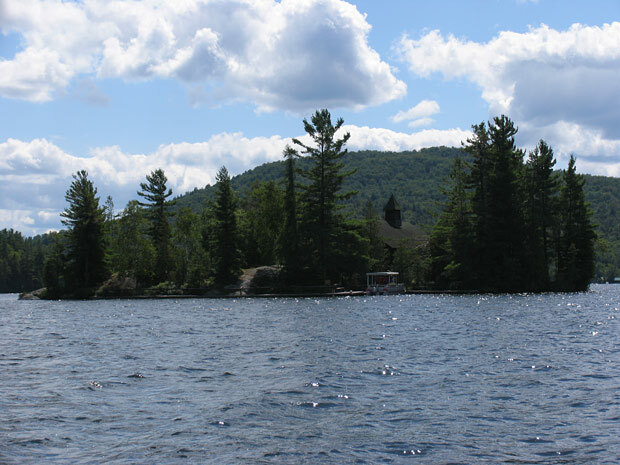 It also features 20 primitive campsites available on a first come, first serve basis. 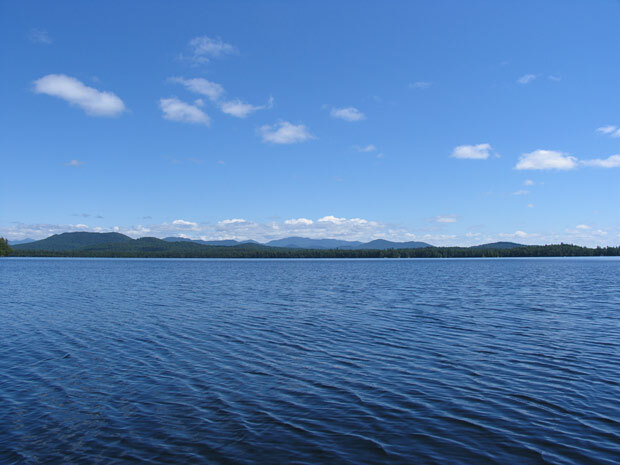 Access by boat from the campground at Fish Creek (see Square Pond map center) is via Fish Creek Ponds and the creek into Fish Creek Bay on the middle west side of Upper Saranac. 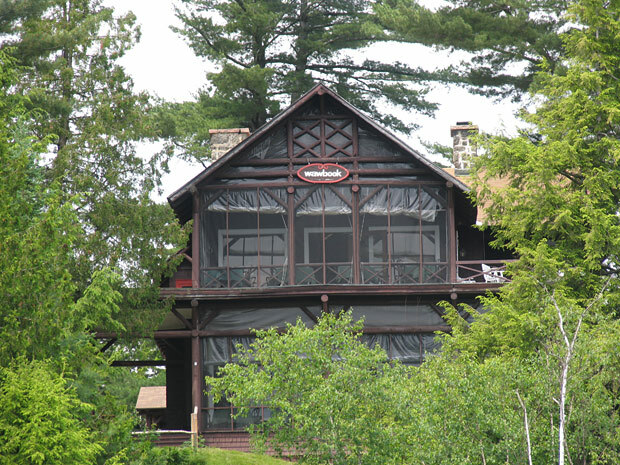 See photos in our Upper Upper Saranac photo album. 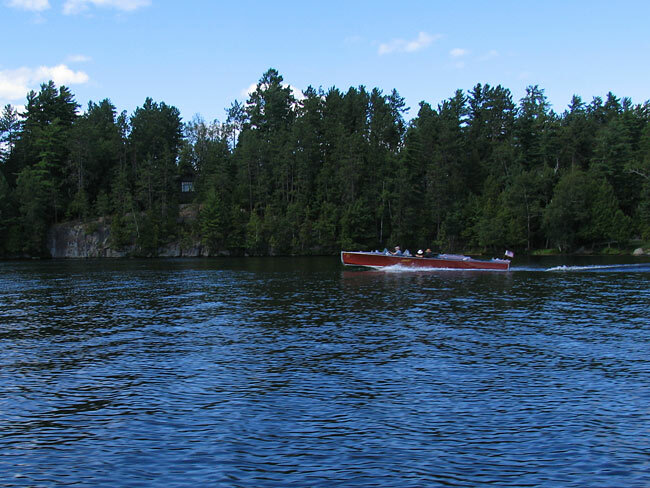 great camps that line the shore. 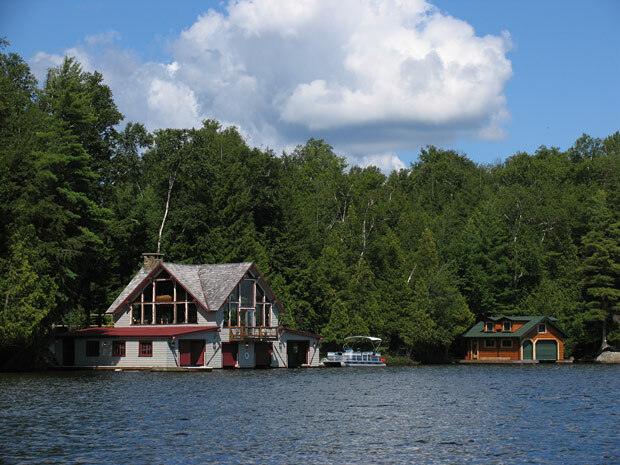 You can even attend church on Sunday mornings on Chapel Island! 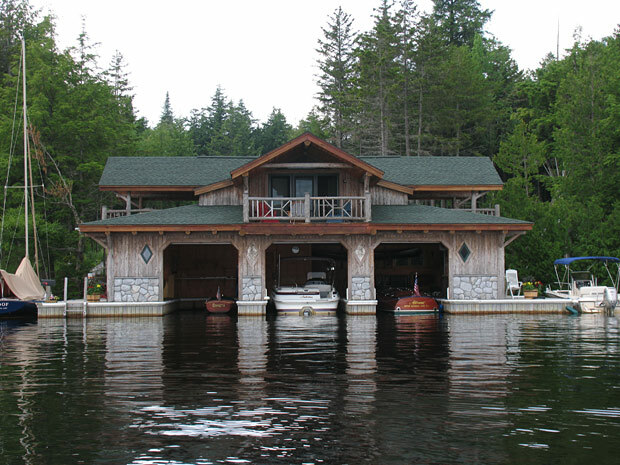 Note: All islands on Upper Saranac are private, except Buck and Green Islands.